Very good value, easy to use. May be too small for larger households. The Cuisina C20LTSSV is an entry level solo microwave, aimed at those who are looking for an inexpensive method of heating, cooking and defrosting food. With a price tag of under £50, it works surprisingly well - granted it only has 700w of power, but it provides a 20 litre capacity, with well labelled touch control system and overall dimensions of 26.2cm by 45.2cm by 33.5cm. 10 different power levels are provided, and although it may not cook at quite the same speed as more expensive and powerful models, considering the cheap price tag this microwave offers great value. 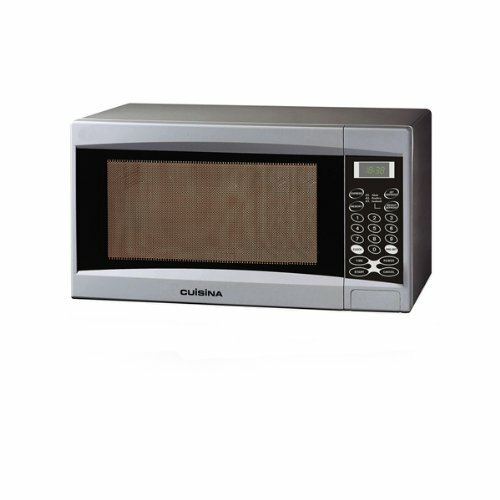 Cuisina may not be the most famous of brand names, but in the C20LTSSV they have created a decent looking and high performing silver microwave. It may lack the features of higher end models, but we really can't much fault with it, especially considering it costs under £50. 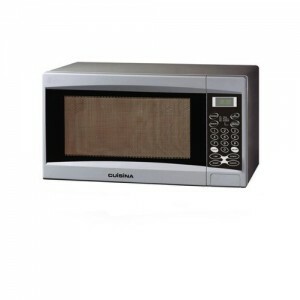 The Cuisina C20LTSSV offers exceptional value for those who are looking for a cheap microwave. If you need a simple and easy to use microwave for under £50, then the C20LTSSV is well worth looking at. 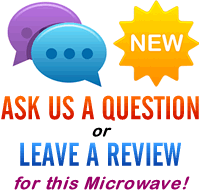 I just want to know how energy efficient is the Cuisina Solo Microwave C20LTSSV. If you can suggest a solo microwave which will not cost me too much in electricity, I would be most grateful. I currently have a solo Panasonic 20LT microwave and consumes too much electricity. I have had it for about 2 years. The lower wattage microwaves use less electricity overall, but also cook at a slightly slower rate – if power is really an issue then you might be best looking for a 700 watts (or below) model such as the Cuisina Solo Microwave C20LTSSV, as these will reduce the electricity bill slightly compared to a 1000w model, for example. All of the 700w microwaves will use a similar amount of power in our experience.